The quickest and often easiest way to obtain an auto accident report in Texas is to get it in person. To do so, go to the city hall of the city where you got into a wreck. From there, it’s usually a fairly straightforward process. If you don’t feel like driving to city hall, you can also get the report by mail. It’s also important to note that you may actually not be able to go to city hall to get the crash report in a smaller city, so it’s important to check which options are available to you beforehand. The typical way to obtain an auto accident report in Texas is to send a request to the city hall directly. There’s usually a fee of around $6.00 for them to mail the report back to you. Some cities or counties may also have alternative methods for obtaining a crash report. Tarrant county allows you to mail the sheriff’s office to get the report for free. Of course, snail mail takes a while to arrive – especially when it’s being sent by the government. Fortunately, you can usually obtain a car wreck report online by using the Texas Crash Records Information System. 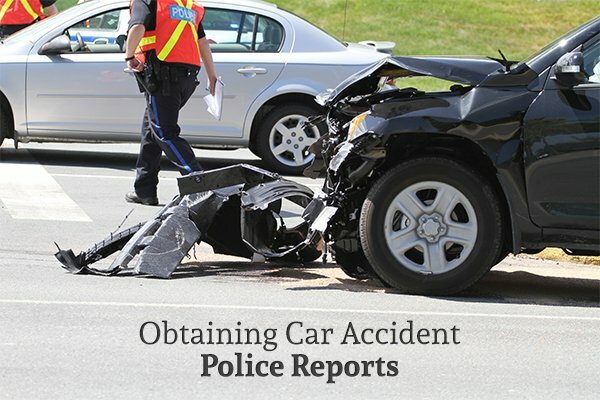 This system will allow you to immediately get an electronic copy of the crash report. The one downside to this option is that you can’t get a certified copy of the report this way (if you need one). In addition, some cities in Texas may not make the report available online. One important thing to know before requesting your car crash report is that you don’t need to retrieve it for your insurance company. They have the ability to obtain the accident report on their own, and if they want you to get it for them, they’re just being lazy. Of course, it’s usually best to consult a personal injury attorney before you even start talking to your insurance company. Insurance companies are greedy and like to twist your words around to make sure that they can give you as little money as possible. If you’ve been injured in a car wreck, call the law offices of Juan Hernandez, P.C. Juan Hernandez is one of only 2% of attorneys who are Texas board-certified to practice personal injury law. He and his team of lawyers will make sure that you get the full compensation you deserve from your insurance company and the driver who injured you.